The UK Film Council, which made the Coalition government’s Kill List, makes one of its last appearances as a funding partner in the opening moments of this release. It’s a fine epitaph. Bad bets on lottery tickets will have guaranteed its completion and that’s fitting because both filmmakers and audience alike are taking a punt on an original fusion of kitchen sink realism, hit man movie and horror film. The filmmakers emerge as winners, the audience will inevitably be divided, but box office receipts, as ever, won’t tell the story. Kill List carries with it the joy of discovery and it’s going to have a long shelf life; a permanent home on television and collector’s shelves. Ben Wheatley, who extracts plenty of dour realism from the excellent pairing of Neil Maskell and Michael Smiley, will get the plaudits, and not without merit, but there are three names on the praise list, the other two being editor Robin Hill and composer Jim Williams. 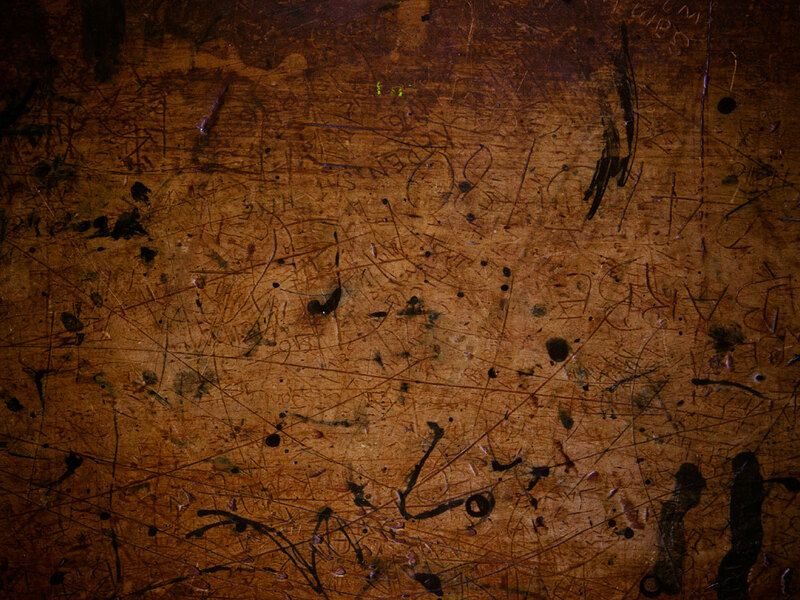 The three work in tandem to create a psychological snare; a waking nightmare for the audience in which the run of action, however benign, is scored like a trawl through a mass grave; the cuts, both sound and picture, are calculated to induce disorientation – moments of deathly quiet foregrounding action, elliptical chopping that overlays the dialogue from one scene over the image of the next; unflinching, brutal violence. From the domestic opening, itself a refreshingly dry and sensation eschewing introduction to the characters, to the final reveal, a sinister aspect is created that pulls the spectator close and holds them for the duration. Tension is created in the method, rather than the mechanics of the story, and to say its liberating is under selling it. Premiering at the Fright Fest horror and fantasy film festival, Wheatley’s film shared the bill with Robin Hardy’s Wicker Tree, leading this attendee to privately contrast two films that shared a common parent. 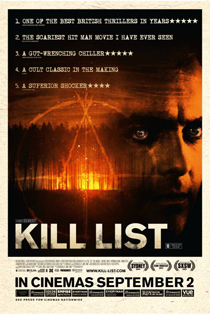 Kill List is the movie Wicker Tree might have been; aloof rather than didactic in respect of its religious themes, cruel in content, ambiguous in character and deathly serious. It’s a genre splice that really works. Wheatley judges the tone with surgical precision, staying with Maskell’s bulldog former solider turned unhinged contract killer throughout. That it plays like a Ken Loach film, life caught in the act, only makes the tension between the drama and the execution all the more apparent. The dread inducing strings engender dissonance. Your eyes tell you it’s a crime drama, your ears a horror film and by the time the two converge you’re so primed with tension, so brutalised by the violence, that the final act is almost logical. Wheatley’s a bad man, grooming you for something awful; its manipulation at its most affecting. My suspicion is that Kill List must be reviewed twice; once, as above, with that first screening in mind and again, once its intensions are known. Retrospective reassessment is one of its pleasures. What audiences will make of it second time around is hard to say; perhaps it’s better thought about than recycled; but the film’s religious asides, its moral conflicts, the identity and conduct of its victims – all take on a different complexion with the gift of hindsight. The careful layering of belief and motive, the past lives of the characters, make this, for the current marketplace, a uniquely cerebral and rich horror movie that’s going to be dissected and appraised long after its theatrical run is over.